Xiao-Ping has published over 160 research papers in scientific journals, conference proceedings as well as reviews, 5 books and book chapters in the fields of Energy Union, Global Power & Energy Internet, Super Power Grids, Smart Grids, modelling and control of FACTS and HVDC, renewable generation (wind and wave) control, integration of PHEVs into power grids, energy markets & game theory applications, smart metering, distributed energy management and services for homes and buildings and wide area grid awareness. He has received major grants from UK Government Science City Initiative, FP7 EU Smart Energy Network (Smart Grid) Programme, EPSRC and Industry etc. 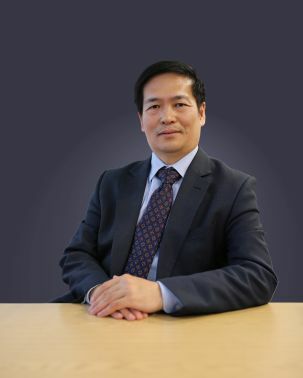 In 2010, he initiated the UK-China Smart Grid Workshop series, which has led to 13 UK-China joint research projects on smart grid, electric vehicles and energy storage. In June 2011, he proposed the concept of “Global Power & Energy Internet” in the CIGRE Workshop held at the University of Birmingham. He pioneered the concept of “Energy Union”, which has been adopted by European Commission. He also pioneered the vision and concept of Midlands as the UK’s “Energy Valley” where this became true with the establishment of UK’s Energy Research Accelerator and UK’s Energy Systems Catapult in the region.